A few weeks ago I had the big pleasure to visit the US (New Jersey and New York), courtesy of a company which invited me to coach an App-V training course in their facilities. I had a wonderful experience and in this post I would like to share with you the technical and non-technical approach, experience and more I had in those 8 days. The App-V training course and workshop intended to provide not only all the basic knowledge regarding App-V, but to also give a complete guidance and step-by-step process in App-V installation, deployment, sequence and maintenance. 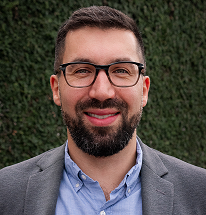 “We are looking for an application virtualization solution for our main company app; we are very interested in App-V but we have no experience handling this technology. We need a complete overview of the platform, understand how to use it and apply it in our scenario”. So, we’ve started talking about their expectations, getting a deeper understanding about the company app, the scenario where it should be deployed, etc. Since the attendees had mix knowledge about general IT concepts, I decided to take a quick look about some key components: Active Directory, IIS, SQL Server, virtualization concepts, cloud service models, etc. 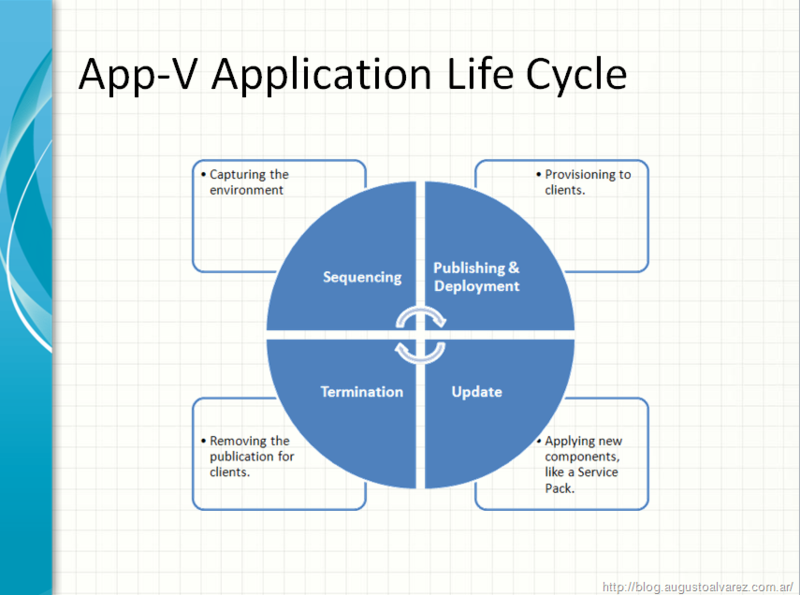 Understanding App-V components, features, benefits and implementation models. Reviewing automation techniques for deploying the App-V client. Getting started with the sequencing process, understanding the phases involved and best practices. Sequence simple applications to understand sequencing. Deep review about company’s application: Environment, requirements, restrictions, integration with the OS and other applications, common use cases, etc. Start with the sequencing process of the company’s application. 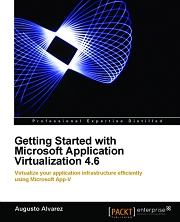 Publishing and deploying App-V packages to client machines. Deeper look in the sequencing process. Handling Feature Block 1, security descriptors to protect some files within the App-V package. 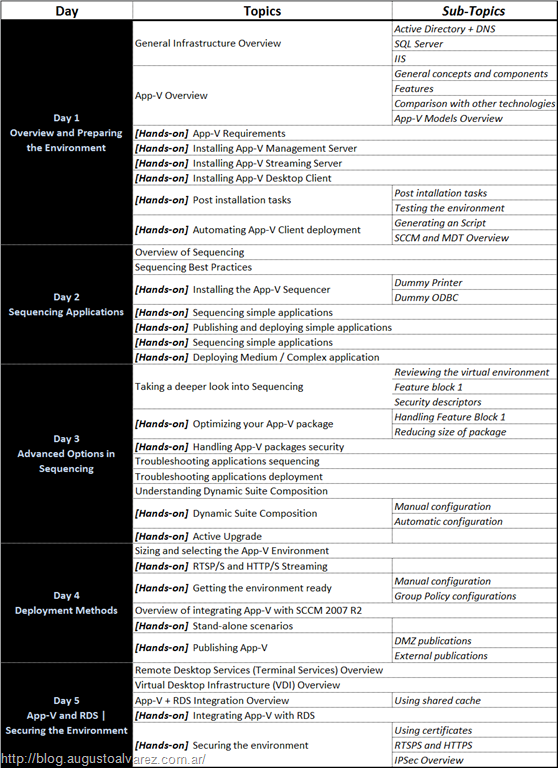 Troubleshooting applications sequencing and deployment process. Understanding log files and common errors. 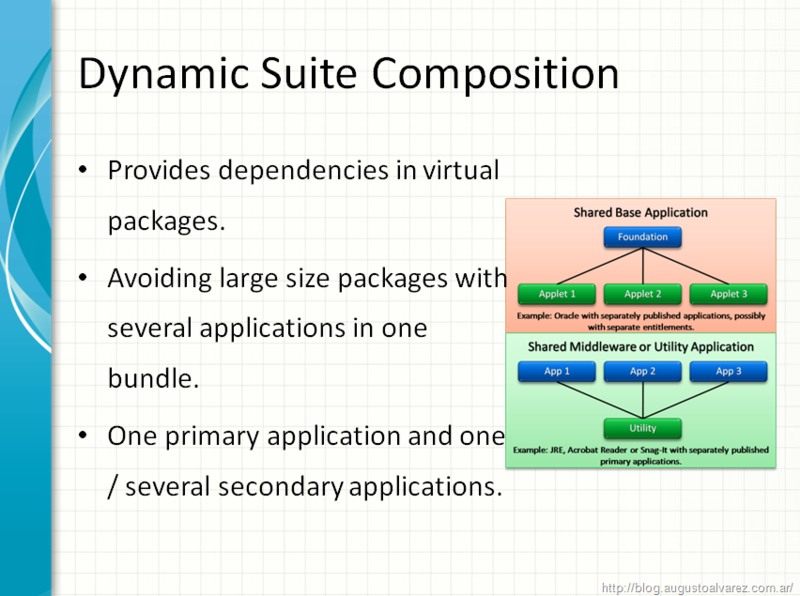 Reviewing Dynamic Suite Composition. Even though company’s application does not require any other package, the concept of interconnecting virtual apps is still important. Handling Active Upgrade. Reviewing different type of modifications in an existing package: Editing or upgrading. Reviewing how to size and selecting the environment for a desired App-V implementation. Understanding the RTSP/S and HTTP/S streaming. How to fit each in the desired scenario. 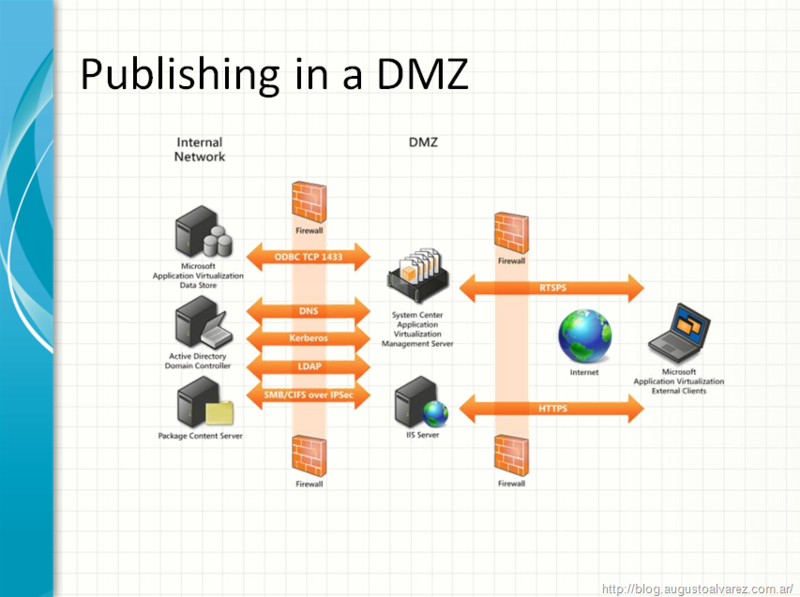 Since the application usage required the scenario with users connecting from different geographic places to a same server, we’ve reviewed necessary steps for publishing App-V to External networks outside the organization. Step-by-step processes for implementing HTTP/S streaming. A complete Hands-On for App-V Standalone scenario. Understanding the Remote Desktop Services, RDS, role in Windows Server 2008 R2 (formerly known as Terminal Services). Reviewing RemoteApp. 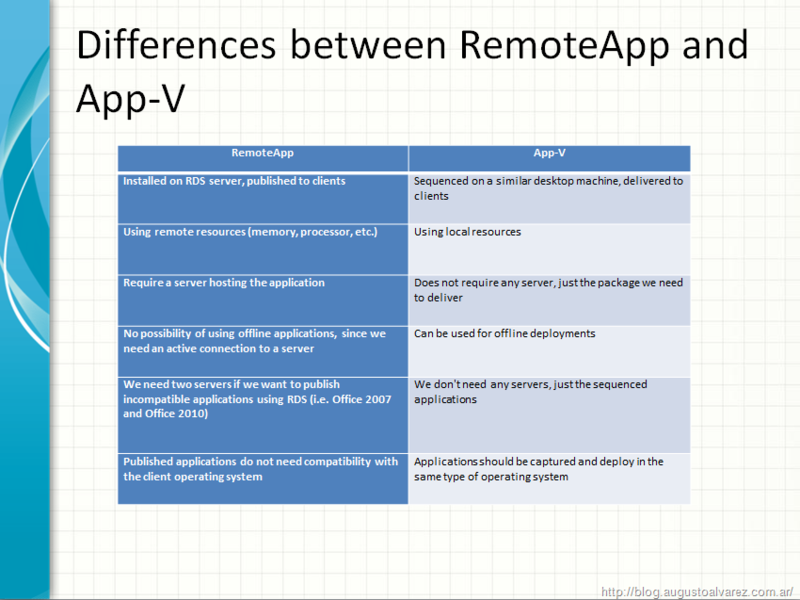 Similarities and differences with App-V; pros and cons; and understanding when RemoteApp is best suited. Hands-on using company’s application with RemoteApp. 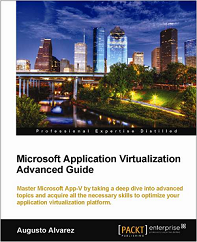 How to integrate App-V into an existing Remote Desktop Services scenario. 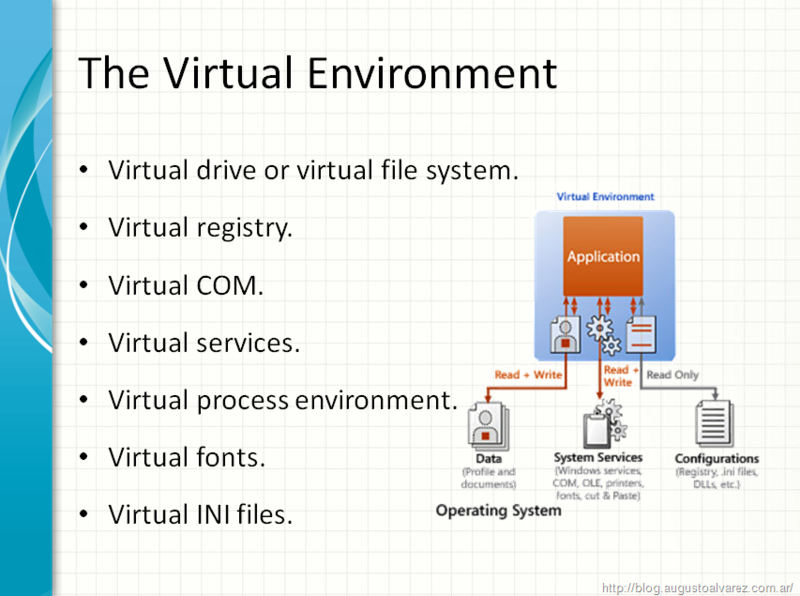 Reviewing Virtual Desktop Infrastructure (VDI) scenarios, integration with App-V and the shared cache feature. The result of the course / workshop was great, the attendees had the chance to understand and implement App-V in their scenario and I could interact with an interesting requirement and deployment. 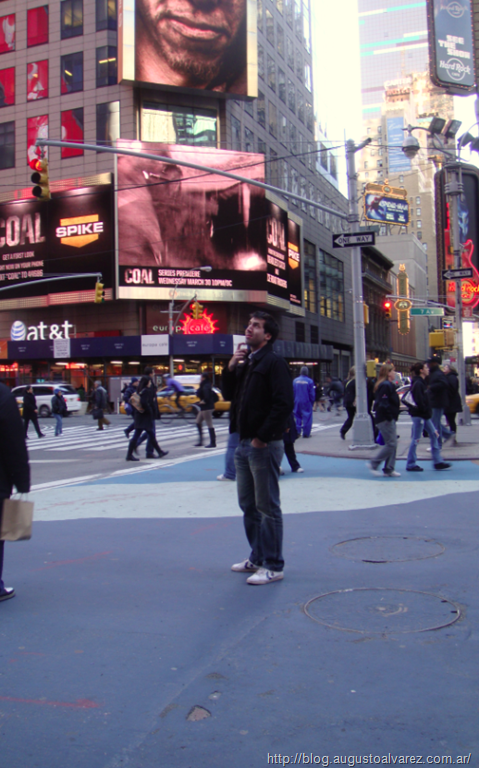 [geekyComment] Not only I enjoyed preparing and coaching this App-V workshop [/geekyComment] thanks to the great hospitality I also had the chance to visit New York City and a bunch of touristic places.